The team behind Tarrant's and Little Saint plan to open Bar Solita in the old Graffiato space. Image courtesy Campfire & Co. 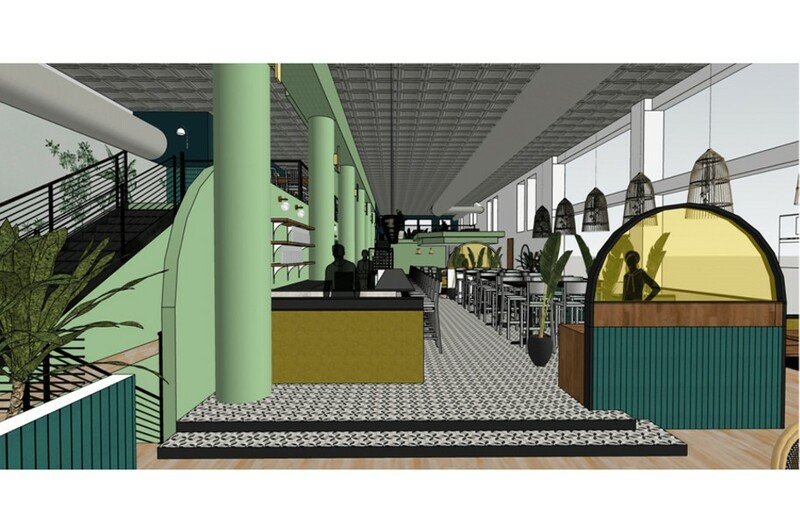 Designers at Campfire & Co. are working with RVA Hospitality to design Bar Solita. It’s been a couple months since Graffiato, Mike Isabella’s Richmond restaurant, closed. The group behind Tarrant’s Cafe acquired the keys shortly after, and recently announced that Bar Solita, a Mediterranean-inspired restaurant with an extensive bar, will open in the 123 W. Broad St. space. The menu, which Kincaid says is still in development, will feature dips and other shareables with Spanish, Italian, Greek and Portuguese influences, plus a hefty international wine list and craft cocktails. As for the space, Kincaid says RVA Hospitality is making some “small cosmetic changes,” but nothing major, especially not to the bar. “That bar was designed by someone who loves cocktails, you can just tell,” she says, noting that the current setup allows for high-volume service. The group is aiming for an opening of Oct. 1 at the latest.